One of the most emotional and thought provoking moments in baseball history happened on May 2, 1939. Feeling ill again Lou Gehrig took himself out of the Yankees lineup for the first time in 14 years, snapping his streak of consecutive games played at 2130. Nobody, not even Gehrig, knew the problems ahead and all wished for a speedy recovery. While the event is legendary today, it happened away from Gehrig's home and took place during a road trip in Detroit. It would be another two weeks before Gehrig would come back to Yankee Stadium and face his fans, from the bench. Here is that moment as Gehrig is back in pinstripes, sitting on the bench and watching his buddies play the game he loves. This is a magnificent image of Gehrig and the only example of its type from Yankee Stadium we know of in the hobby (most likely taken on May 16, 1939). This HUGE image is by far the largest we have ever seen in any form of Gehrig from his fateful 1939 season. 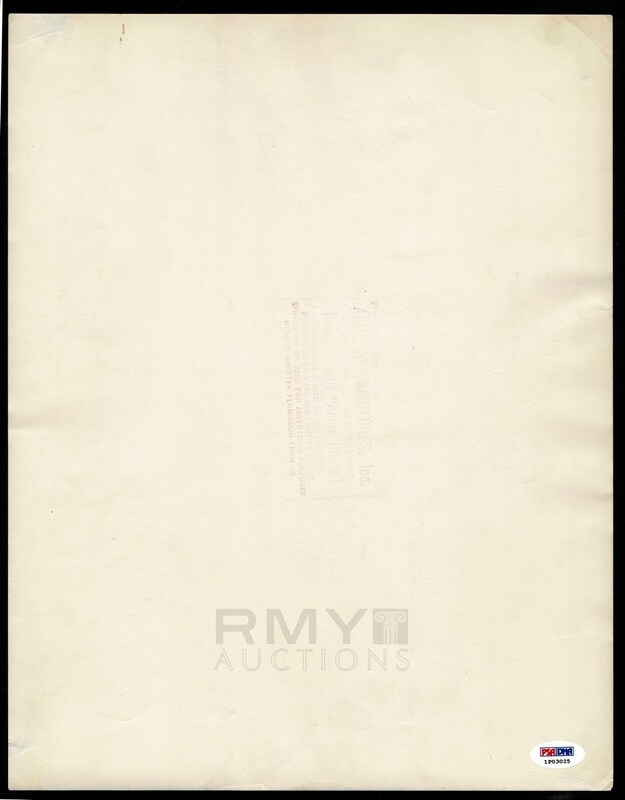 Issued by Acme and stamped on the back, this is not just a rare image, but the size is something that has to have been issued and presented to a team executive or possibly even Gehrig himself. 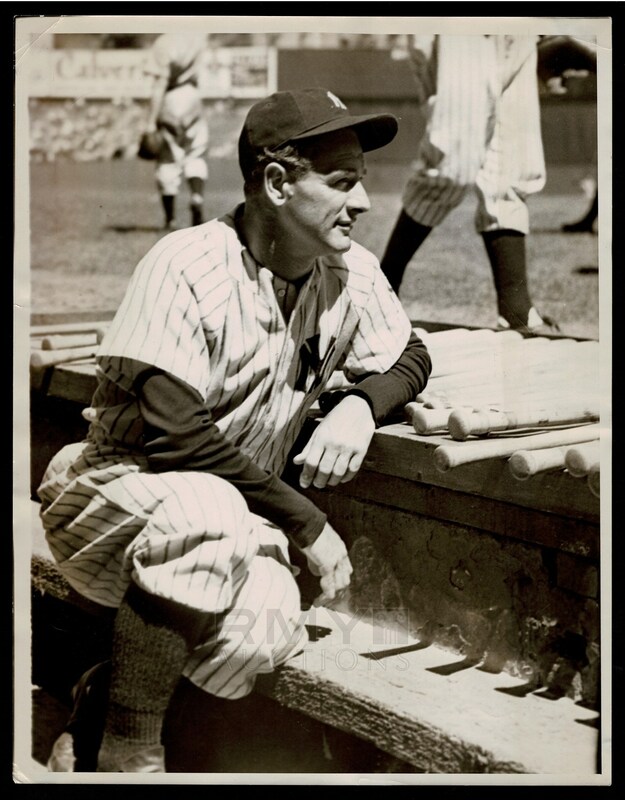 Authenticated by PSA as a Type 1, this has to up there among the finest 1939 Gehrig images that exists.